I’ve made no secret of my feelings about (insert color)-outs here. I am convinced that some of Kansas’ thrashing of Nebraska last weekend was residual from Nebraska’s disastrous "red-out" for a basketball game against the Jayhawks last season. By making a public request, the team is sending a message to the fans that the 12th man is really needed in a game like this. Whatever your choice of attire, the team is looking to feed off the crowd in this game. Imagine the letdown among the players if this request is ignored. Nothing like heading into a pivotal game knowing that the fans are too uptight or too attached to their lucky red shirt to let loose for one game. If the Florida celebration and the whole Soulja Boy thing has done anything this year, it’s to remind us and the team that this is all supposed to be fun. 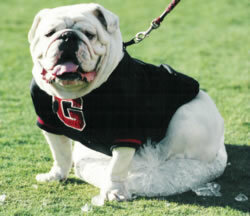 So South Carolina got the crap kicked out of them at their black-out. So it’s gimmicky. Who the hell cares? The win in Jacksonville in my eyes gave the team the right to ask something like this. Do your part. Don’t make us look like South Carolina fans. 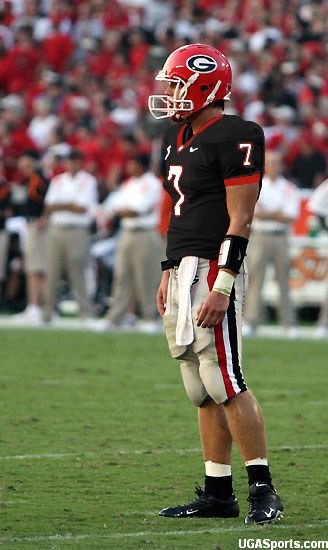 UPDATE: "stevenmichael22" on the DawgVent did a great job conceptualizing what a black jersey might look like with the rest of the uniform. Not bad, not bad.